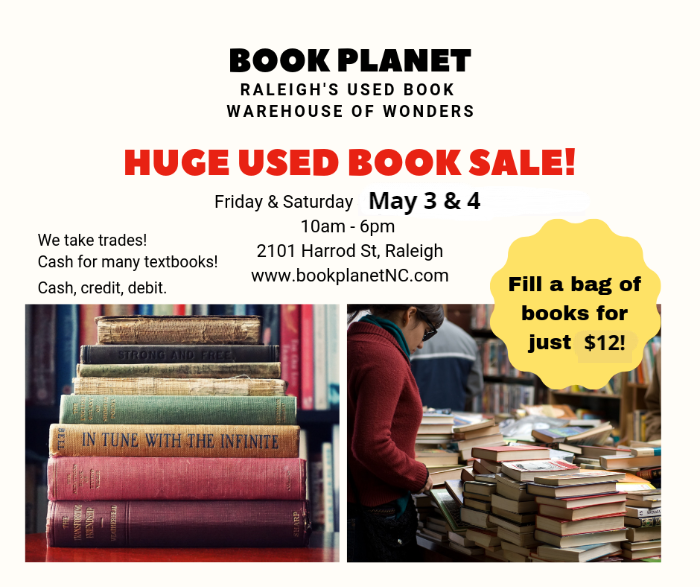 BOOK PLANET - Book Planet - Great Books, Cheap Prices in Raleigh! ​Our fill-a-bag shopping gives you amazing value! 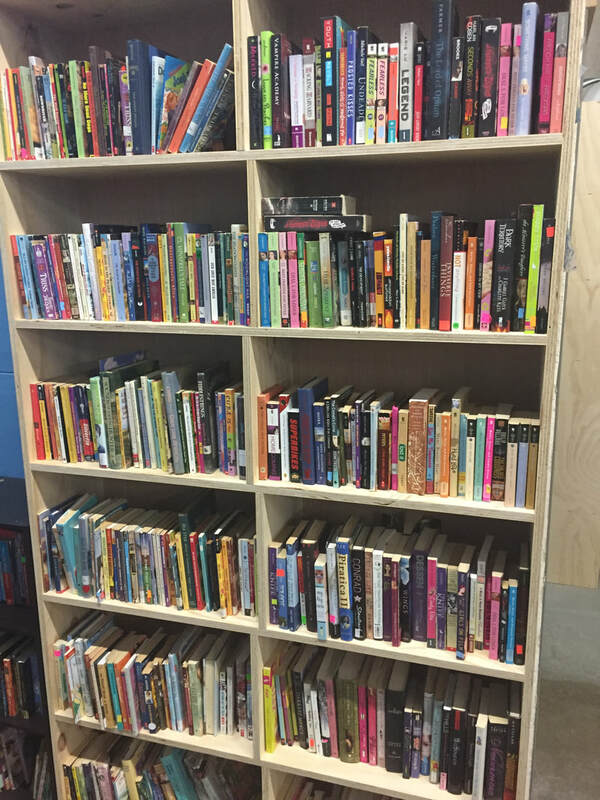 Once or twice a month, we open our used book warehouse to the public, and sell thousands of books at rock bottom prices. 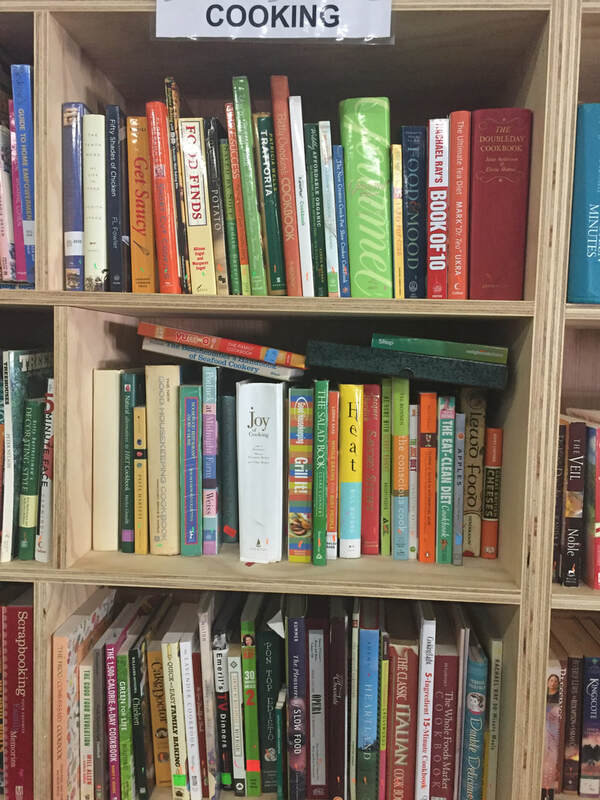 ​Our stock includes tens of thousands of quality, gently used books of all topics and types, for people of all ages! After two years in business, we have made the tough decision to put a modest price increase in place, beginning with our April 2019 weekend. This is something we need to do to remain a healthy business, and we firmly believe that even at our new prices (see below), we're still offering incredible value to you, our fantastic shoppers! *Plus tax, y'all. We provide the bags, which are about the size of plastic grocery bags. Fill a bag includes 95% of our inventory, with a few special exceptions. What fits in a bag? We accept cash, and all major credit and debit cards! 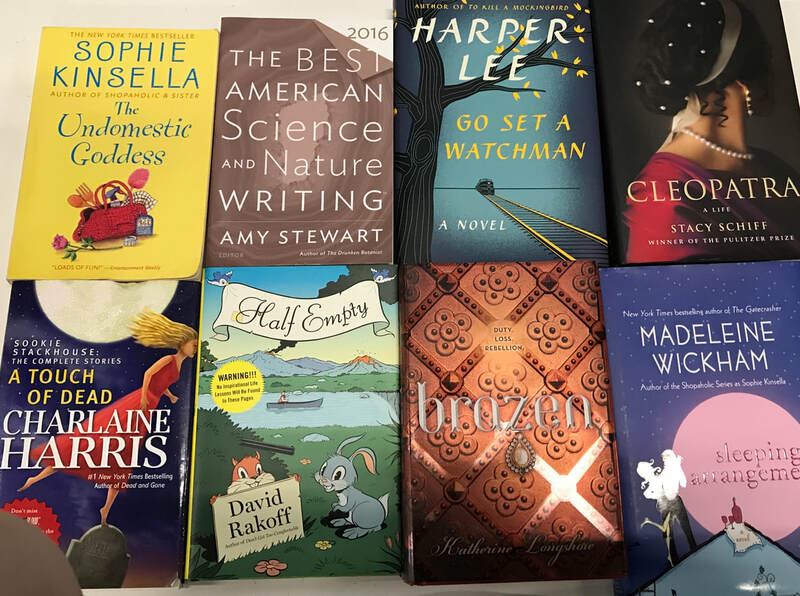 From fiction to non-fiction to children's books, we've got books for everyone. Current, vintage and everything in between. 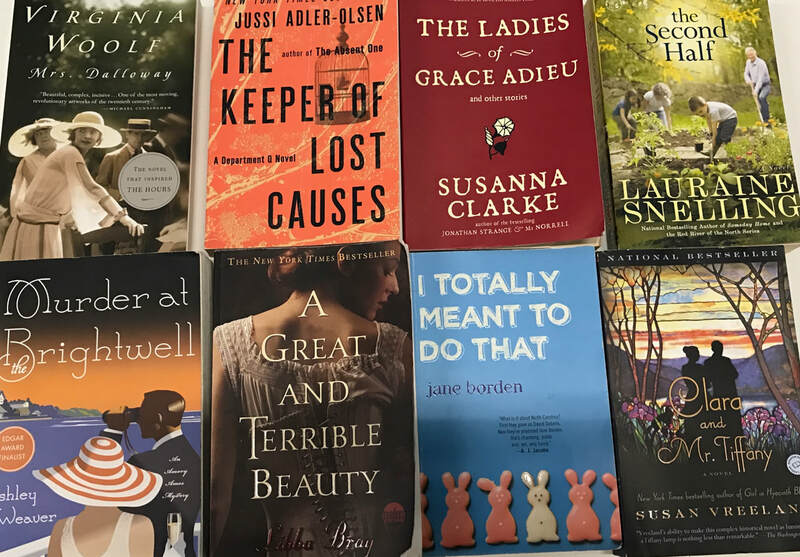 Our prices can't be beat, so you're sure to find great stuff to fill your shelves at home, stock your classroom, or give as gifts! We don't spam or share your address EVER, and our mailing list is the best way to stay up to date about our public sale dates and special offers! Paradise for teachers and parents! 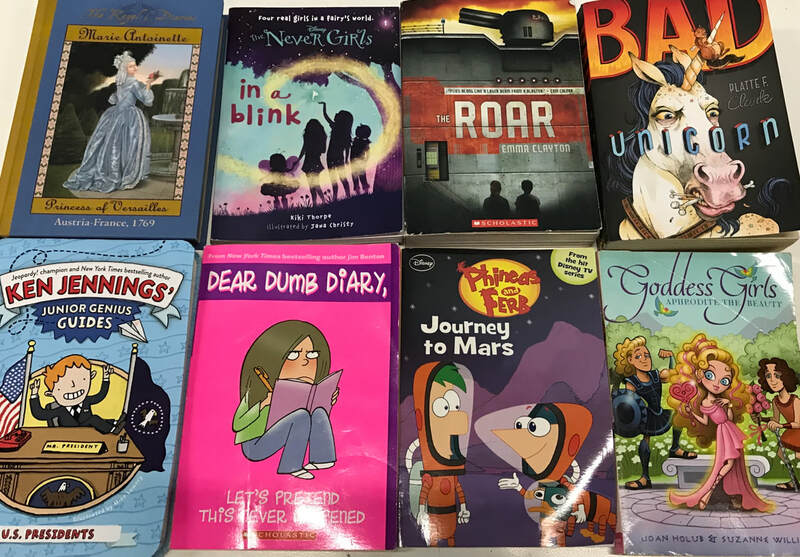 Our kids' selection is enormous, and includes children's books from birth through teen, including picture books, board books, early readers and chapter books. We've also got teaching materials, parenting books, reference and textbooks. Our fill-a-bag shopping means you don't have to leave anything behind! Can't get here in person? Shop our eBay store! We take cash, credit and debit cards! Bring your trades for store credit! We pay cash for many textbooks. No appointment needed during posted hours! In Raleigh, near the Wake Forest I-440 exit! We are off Atlantic between Millbrook and New Hope Church. At the end of Harrod, jog right, past the red metal gates, and turn right along the long side of the building. ​Our parking lot often looks like a lumber yard - our neighbors are talented woodworkers! Don't worry, you are in the right place. Our entrance is just to the left of Dock #5. When we are open to the public we have green directional signs and a large yellow BOOKS banner above our entrance.